BENTLEY, Alvin Morell, a Representative from Michigan; born in Portland, Maine, August 30, 1918; graduated from Southern Pines (N.C.) High School in 1934, Asheville (N.C.) Prep School in 1936, and the University of Michigan in 1940; attended Turner's Diplomatic School, Washington, D.C., to qualify for diplomatic service; served as vice consul and secretary with the United States Diplomatic Corps in Mexico in May 1942, then going to Colombia, Hungary, and Italy; returned to Washington, D.C., March 15, 1950, for work in the State Department; resigned from the diplomatic service in 1950; returned to Owosso, Mich.; delegate to Republican State conventions in 1950, 1951, and 1952; vice president, Lake Huron Broadcasting Co., Saginaw, Mich., 1952; director of Mitchell-Bentley Corp.; elected as a Republican to the Eighty-third and to the three succeeding Congresses (January 3, 1953-January 3, 1961); was not a candidate for renomination in 1960, but was unsuccessful for election to the United States Senate; unsuccessful candidate in 1962 for election to the Eighty-eighth Congress; appointed by Governor George Romney in 1966 to the board of regents of the University of Michigan, a position he held at the time of his death in Tucson, Ariz., April 10, 1969; interment in Oak Hill Cemetery, Owosso, Mich.
Papers: 1945-1969, 104 linear feet and 5 volumes. 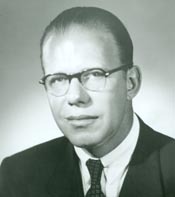 The papers of Alvin M. Bentley include correspondence, reports, speeches, photographs, and other papers, relating to Alvin Bentley's congressional and political career, including correspondence with Republican Party leaders and papers concerning his campaigns for the U. S. Senate in 1960 and for Congressman-at-large in 1962. Also included are papers detailing his interest in the affairs of the countries of Eastern Europe and Latin America, notebooks relating to Michigan Constitutional Convention (1961-1962), and papers concerning regental affairs at the University of Michigan and his work with the Michigan Citizens Committee on Higher Education. A finding aid is available in the library and online. Photographs: 1922-1969, 2 linear feet. The photographs of Alvin M. Bentley document his election campaigns and other political topics, as well as the Saginaw Valley Flood, 1956. A finding aid is available in the library and online. Sound Tape Reels: 1960s, 2 sound tape reels. The sound tape reels of Albert M. Bentley include a talk on American foreign policy. Also included is an interview of Hugh W. Brenneman with Alvin Bentley, Lindbergh Rogers, Win Schuler, William Marshall, and Tom Miles. A finding aid is available in the library and online. Papers: In the Wilber M. Brucker papers, 1877-1968, 52 linear feet and 2 oversize folders. Correspondents include Alvin M. Bentley. A finding aid is available in the library and online. Papers: In the Owen J. Cleary papers, 1944-1959, 10 linear feet and 2 volumes. Correspondents include Alvin M. Bentley. A finding aid is available in the library and online. Papers: In the Fred L. Crawford papers, 1925-1953, 6 linear feet and 1 volume. Subjects include Alvin M. Bentley. A finding aid is available in the library. Papers: In the Austin W. Curtis papers, 1896-1971, 2 linear feet, 1 volume [oversize], and 1 oversize folder. Subjects include Alvin M. Bentley. A finding aid is available in the library. Papers: In the John W. Fitzgerald papers, 1952-1965, 6 linear feet. Correspondents include Alvin M. Bentley. A finding aid is available in the library and online. Papers: In the Charles L. Follo papers, 1961-1970, 4 linear feet. Correspondents include Alvin M. Bentley. A finding aid is available in the library. Papers: In the Harlan Henthorne Hatcher papers, ca. 1837-1998, 72 linear feet and 1 oversize folder. Correspondents include Alvin M. Bentley. A finding aid is available in the library and online. Papers: In the Stellanova Osborn papers, 1916-1992, 40 linear feet. Persons represented include Alvin M. Bentley. A finding aid is available in the library and online. Papers: In the James Kerr Pollock papers, 1920-1968, 87 linear feet. Persons represented include Alvin M. Bentley. A finding aid is available in the library and online. Papers: In the Margaret Bayne Price papers, 1918-1969, 25 linear feet. Persons represented include Alvin M. Bentley. A finding aid is available in the library and online. Papers: In the John M. Roberts papers, 1960-1967, 107 items. Persons represented include Alvin M. Bentley. Photographs and Videotapes: In the George W. Romney visual materials subgroup, ca. 1920-1970, 17 linear feet. Persons represented include Alvin M. Bentley. Papers: In the Alexander Grant Ruthven papers, ca. 1901-1961, 65 linear feet and 1 oversize folder. Persons represented include Alvin M. Bentley. A finding aid is available in the library and online. Papers: In the Rebecca Shelley papers, 1890-1984, 21 linear feet and 1 oversize folder. Persons represented include Alvin M. Bentley. A finding aid is available in the library and online.